UBC’s decision to build a school exclusively for international students was met with strong opposition from students and associations on campus. Criticism of the college seems to be based on two grounds. The first attacks UBC’s willingness to spend over a $100 million at a time when, well, UBC doesn’t have over a $100 million to spend. In fact, UBC had to borrow the money just to build the college. And the second line of criticism takes issue with the special treatment international students are allegedly receiving at the expense of current students. It’s no secret that UBC, like most public universities, is facing serious financial problems. At the end of the 2013 fiscal year, UBC was about $414.7 million in debt. Tuition has been increasing steadily in the last couple years, and student housing is expected to increase by 20 percent. Given all of this, it’s not surprising that UBC’s decision to invest $127 million into building a college exclusively for international students attracted some criticism. If money is so tight, first why is UBC spending money on building a new college, and second spending it on a college exclusively for international students? If UBC has any money to spend, one would think it should be on improving education for current students. However, this fiscal objection carries little weight when you consider the potential long-term benefits the college could bring UBC. International students will be paying an exorbitant amount for tuition and accommodation—about $50,000 a year to be precise. To put that figure into perspective, consider that 100 students attending the college earns UBC $5 million. The school already has over 200 students enrolled, and it hasn’t even been built yet. It’s true that the $127 million it will cost to build the college could be put towards building more housing for current students or finding ways to combat rising tuition costs. But it makes much more economic sense to invest in something that pays off more in the long-run than to spend $127 million on making marginal improvements now. The latter will only increase debt with no return. In contrast, the long-term revenue generated from the college can be used to address some of UBC’s financial problems, which directly benefits current, non-international students. Therefore, if the college will have any effect on UBC’s financial crisis, it will be to alleviate it, not exacerbate it. The second objection is a bit more interesting. At the heart of it is a knee-jerk reaction to what many perceive as rich students getting special treatment. The college will only be available to international students who can afford to pay for the tuition and accommodation, which at $50,000 a year is realistically only the wealthiest of the wealthy. That international students will get an entire college to themselves almost seems as though UBC is implementing segregation. Some have gone as far as to suggest the college is evidence of “classism” and “elitism” at UBC. Accusing UBC of elitism or classism seems a tad hyperbolic. There’s no evidence students from lower socio-economic statuses are being denied entrance into UBC, or receiving a poorer quality education than students coming from wealthier families. Tuition for domestic students is heavily subsidized, the Government offers student loans with fair interest rates, tuition increases are capped at %2 a year, and there are millions of dollars available in scholarships and bursaries, many of which target lower income students, visible minorities, and parents. How any of this smacks of elitism or classism is beyond me. The argument that Vantage College creates a de facto two-tier system of education, one for the wealthy internationals and the other for the impecunious Canadians, is equally without merit. It is based on 1) a fundamental misunderstanding—and mischaracterization—of the school’s intent and 2) unfounded and egregious assumptions about international students. As a starting point, I think we can all agree there is nothing inherently wrong in allowing international students who don’t speak English as a first language but who otherwise meet UBC’s academic requirements to attend UBC. Students born outside of Canada are just as deserving of a quality education as Canadians. Many people from across the world already immigrate to Canada because they believe there are more opportunities here. The same is true of education. In light of this and Canada’s commitment to multiculturalism, it only makes sense that our universities should be just as open and accommodating to international students, many of whom may plan to immigrate here one day. Living in a foreign country and studying at an English speaking school presents challenges for international ESL students. Vantage College aims to remove some of these common cultural and academic barriers by creating a supportive environment in which international students can strengthen their command of the English language while working towards a degree. After finishing one year at Vantage College, students will be able to take regular UBC courses. The school thus serves as a stepping-stone for international students, easing their transition into undergraduate school. I’m sure the predominant image of an “international student” which comes to the minds of many is a spoiled Asian kid, driving to school in a Mercedes bought and paid for by his wealthy parents. If this stereotype is based on any kernel of truth, I suspect that it is a very small one. What these broad generalizations overlook are the international students relying on loans, and collective family savings, to pay for the same education that Canadian students receive at a fraction of the cost; the student born in a working class family whose parents want a better life for him; the student who takes the bus to school because he doesn’t have a Mercedes; or the student working hard to learn a new language and study a difficult subject matter in a completely foreign environment. International students attend UBC for the same reasons as you and I: to get a quality education that translates into a career. And they pay considerably more for that opportunity. 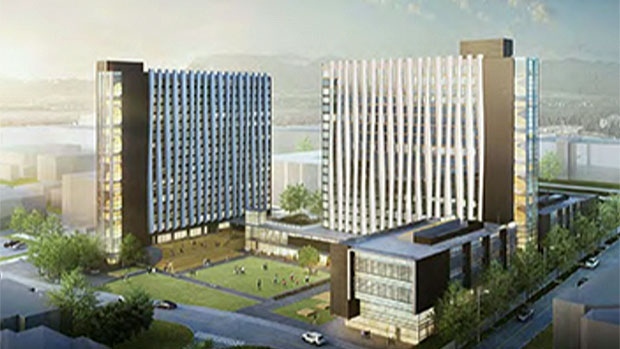 UBC’s announcement of Vantage College had brought out the worst type of critics—the armchair, I’m going to criticize your decision on vague, poorly defined principled grounds without providing any reasonable alternatives to achieving the outcome we all want. The current housing crisis at UBC can only be fixed by building more housing—and that costs money. And where do critics propose this money should come from, if not from the fruits of investments like Vantage College? Tuition hikes? I highly doubt that. The recent %2 increase in tuition is projected to result in only $6 million-$8 million in incremental revenue. And that tuition increase, I should add, was vehemently opposed by many of the same people now against Vantage College. I also don’t imagine our fiscally conservative provincial Government will be forking out any more money for universities in the near future. In fact, they’re doing the exact opposite. Trees? We all know money doesn’t grow there—or perhaps some of us don’t know this. I think it’s fair to say Vantage College is a reasonable solution to UBC’s financial problems. We’re able to give students from abroad access to quality education while at the same time creating some revenue for UBC. UBC is not the only Canadian university which accepts international students. Having a specialized college aimed at making life and school for international students easier is likely to attract more students to UBC. This results in more revenue, and puts UBC in a better position to address many of the financial problems which largely fueled (almost ironically) student opposition to the College in the first place.